FS: I have too many parts, Not enough room. [Michigan] - Page 3 - Miata Turbo Forum - Boost cars, acquire cats. If you need a 1.8NA head, I think I have 3 of them sitting on the shelf. I missed out on the re-route when the sale didn't go through but maybe you can help me on the COPS? PM me a shipped price you'd be happy with. Interested in the wheels, where in michigan are you? I'm nearish to Detroit. Is the price obo or firm? Sorry Fellas, The wheels and tires just shipped out! Miataki I will message you in a second. 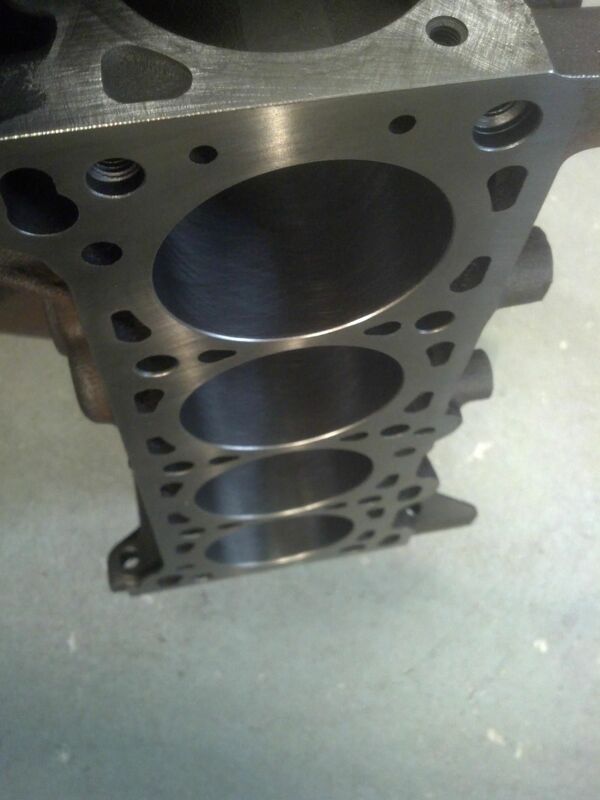 Also, Anyone interested in a 0.020" over 1.6l block. My machinist has one that he baked, blasted, magnafluxed for cracks, bored .020" over, honed and decked for sale 400$. PM me if you are interested. Not sure how to edit the first post anymore? Coil on plug setup has been paid for and shipped. I still have the 1.8NA bottom end sitting around, along with the Stewart engine, and my god 2 more 1.8NA transmissions have been found. Make offers or Jokes, your choice..
Dude, I totally dropped the ball on that bottom end. Sorry about that. It got pretty crazy around here for a while. I'll pick it up next week after I get back from the conference I'm attending this week. I work on Monday and Wednesday, but I'm free on the others. I will be gone April 28th - May 2nd for Blackhawk Majors. Anyday other than those days works for me. Couldn't be happier, they have the claimed blemishes nothing drastic at all, and tires look as Spec claimed, 75% life look as if they we ran twice and put away, lol. P.S if your living room produces this kind of dust you must be one serious car guy. Just bought a bottom end off Spec in person. Buy the rest of his ****. I will start entertaining the idea of shipping the spec miata engine. If you are looking for a complete engine with known build quality, this is it! Also, the 1.6 overbore block can be shipped as well. Please contact me directly about the pistons you are using for your project, I'm sure we can work something out.